In the most leading TV Show Yeh Rishta Kya Kehlata Hai, Naira faces a tragic time when she doesn’t finds her baby. A big shock to Kartik, Naira (Shivangi Joshi) has suffered miscarriage while Keerti has given birth to baby boy. Unfortunately the sorrow of not finding the baby makes Naira Goenka lose her mental balance. The twist now unfolds when Kartik (Mohsin Khan)takes a big step to overcome Naira (Shivangi Joshi) from this big trauma of losing her baby. 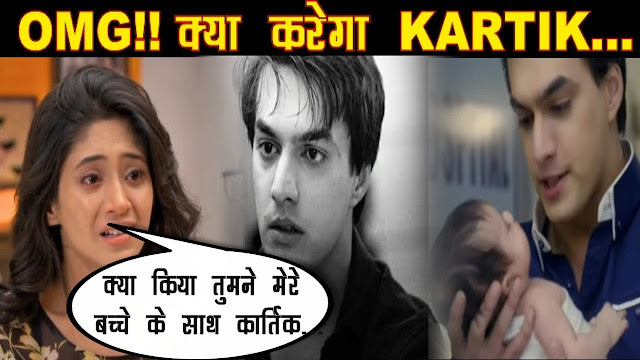 Kartik Goenka will give Keerti’s (Mohena Singh) baby boy to Naira making her believe that he is her child. Kirti is in comma and can’t take care of the child, Kartik Goenka thus handovers Keerti’s(Mohena Singh) child to Naira making her believe that he is their baby boy. But what will happen next when the truth will come out? Stay tuned to know further updates.